As spring approaches and the days get warmer, it’s the perfect time of year to open your windows and give your home a good scrubbing. After all, it’s amazing how much better you feel when your home is fresh and clean, and the beautiful spring weather can be a great motivating factor. 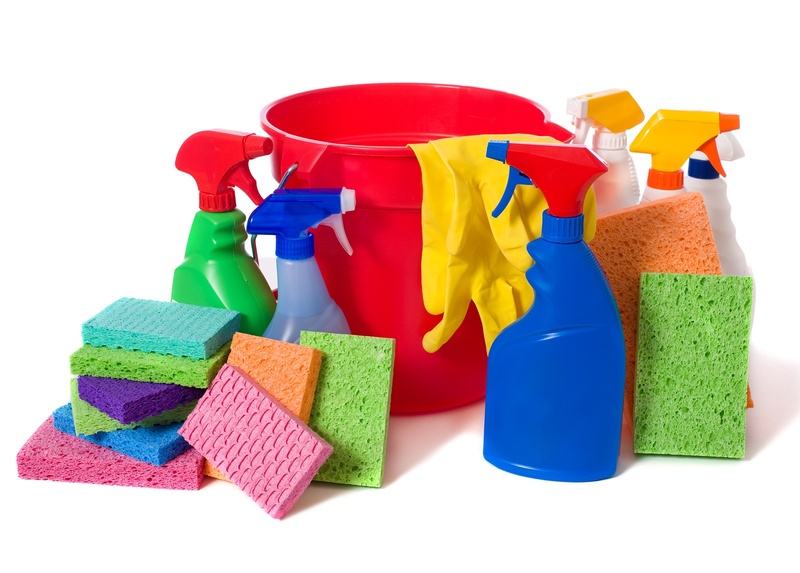 Make note of the following spring cleaning tips and have your home sparkling clean in no time. Spring cleaning is much more involved than your weekly house cleanings, so come up with a cleaning plan before getting out your supplies. Start by making a list of each room in your home, including utility closets and your garage, and think about what kind of cleaning tasks need to be done. For instance, baseboards may need to be wiped, furniture may need to be moved, and your window shades may need to be vacuumed. Nothing is worse than starting to clean only to realize you do not have all the proper cleaning products at hand. Make sure you have an all-purpose cleaner, glass cleaner, and any specialized cleaners, like wood oil and oven cleaner, ready to use. When spring cleaning, the dishwasher can definitely come in handy for more than just washing dishes. Load it up with glass globe light fixtures, toothbrush holders, and other items that rarely get washed. Make sure to use the gentle cycle and don’t use the heated dry option. Pet hair stuck to your furniture can be a pain to remove, but this doesn't have to be the case. Invest in a pair of rubber gloves, dampen them, and simply swipe your gloved hands over the furniture. Carpet dents aren't attractive, but they are easier to remove than you might think. Take an iron and hold over the dented area, hit the "steam burst" button. Another way to get rid of carpet dents is to place ice cubes in the indentations, let them melt, and then use a spool to lift the fibers of the carpet back up. To remove unsightly stains on your cutting boards, cut a lemon in half and rub the cut side of the lemon on the boards. This also removes unpleasant smells. To ramp up the cleaning power, first sprinkle salt or baking soda onto your cutting boards. Don't forget about your windows when doing your spring cleaning. New window shades can make all the difference and really add to the look and feel of your home. Get started today by contacting Polar Shades at 702-260-6110 and schedule your free in-home consultation.